Having spent 2017 focused heavily on writing, working along the way with big names including Touch Sensitive, AJ Wright (Cloud Control), Asta and Julian Hamilton (The Presets), Nick and Stu have now spent 2018 sharing their abundance of new music created in studios across London, Amsterdam, Berlin and Australia. Amassing support from triple j and Music Junkee between previous successes “Stuck”, "Down The Line” feat. Cloud Control's AJ Wright, "Wish You Were Here" and "See The Light”, Set Mo’s series has presented a collection of certifiable hits. "Fault Lines" premiered on triple J Good Nights, was added to the national HIT network show Collective Noun, reached #4 on the AU iTunes Electronic Chart and was added to Apple Music's A List & a whopping 11 New Music Friday Spotify playlists globally. Like a delectable 10 course feast, Set Mo’s track-a-month series continues to leave fans wanting more. 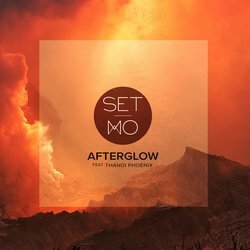 Written in their hometown studio, “Afterglow” is a club-worthy triumph, electrified via rolling beats that shimmer and dance before the soulful, honeyed vocals of Sydney’s Thandi Phoenix come into play - invigorating with every swirl of synth.